In the last article, I said that spoilers don’t spoil a story itself, suggesting that, were that the case, reading a story all the way through would spoil it. Once we’ve finished reading something, we’ve heard all the secrets and had everything revealed to us. But, judging and reflecting on a story itself (as a whole) is best done after we know the whole thing. If knowing the whole story ruined it, the task of reading would be Sisyphean indeed. Search your feelings, you know life is boring and repetitive! This, however, does not mean that only mindless, sensual hedonists object to spoilers. We aren’t just missing out on a thrill. The fact that spoilers don’t ruin stories as objects of consideration doesn’t mean that our engagement of them as dramatic works isn’t diminished by knowing things beforehand. When something is fresh, new, and unknown to us, its otherness is more palpably felt. We have images in our minds of the things we consider, but we have to form these images first, and that process of discovery is an adventure in itself. In the case of something like a story, each scene, each choice, each action provokes the consideration of numerous possibilities and consequences, and the resolution of those scenes, choices, and actions makes actual some particular possible outcome, but not the only possible one. If someone tells us that *spoiler alert* Romeo and Juliet die at the end, then as we watch, it is harder (though not impossible) to consider what could happen next, because our minds will tend to narrow things down and focus on the outcome we already foresee. This, in turn, tends to dull our sense of the gravity of what did happen, because we haven’t considered what might have. Spoilers hinder us in approaching a story with the wonder of something new, with the new mind that senses possibilities because it hasn’t seen the actuality yet. They are aptly named then, because they take away freshness. This is important, and has broader implications than how awesome you thought the movie was on Saturday. I said above that when something is unknown, its otherness is more palpable. We are more aware of the inherent mystery of something that isn’t ourselves when we don’t know it at all yet. But, it isn’t less “other” when we do know it; it doesn’t have fewer possibilities because we see what it is right now. We just stop thinking about it. Familiarity breeds contempt, not just indifference, because the indifference it breeds is a kind of insult. It’s less than things are due (especially in the case of people). And I have to suspect that people are so eager to avoid spoilers in fiction because they think they’ve been told the ultimate spoiler concerning their own lives. They think they know what tomorrow (and the next day, and the next day, etc.) is going to look like, and they think it’s all pretty much the same, and therefore stale. Not only is this dreary confidence misplaced (because things blindside people all the time) but the attitude is wrong because the staleness is their fault, and comes from failing to cultivate the new mind I mentioned earlier. Maybe we should apply the results of active, spoiler-free engagement with literature to our actual lives, and see if we can’t discover that things (and people) are more lively and interesting than we may have given them credit for lately. 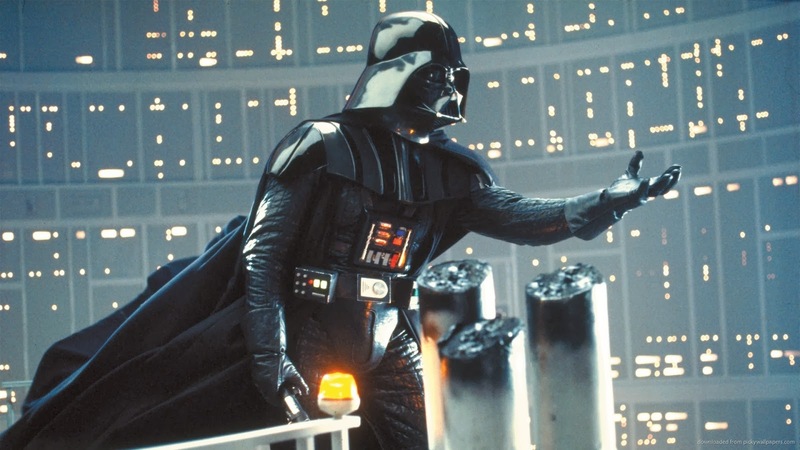 Sure, you might have been a little surprised to find out that Vader was Luke’s father, or that Leia was Luke’s sister, but when was the last time that you really thought about the fact that your father is your father and your sister is your sister, and what that means?